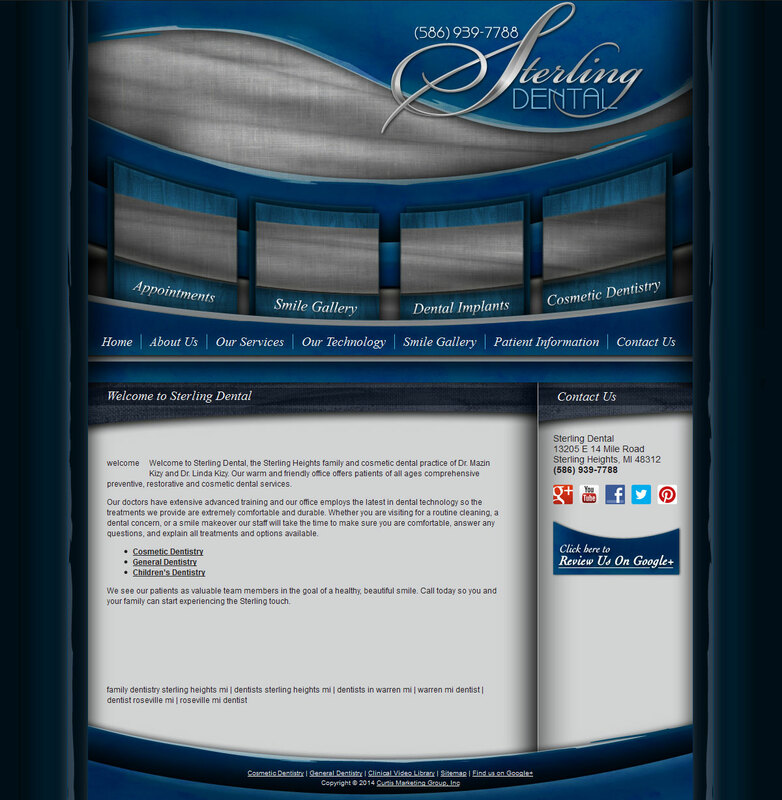 Sterling Dental is a successful dentist office in Sterling Heights, MI. They hired 360 to take care of their internet presence and branding, including website design, Search Engine Optimization (SEO) and social media management. Their previous website was not reaching its goals due to a variety of issues such as color scheme and user-friendliness. Colors have psychological meanings and dark blue makes people feel more depressed – which is the opposite of what visitors need to feel when they visit a dentist website. 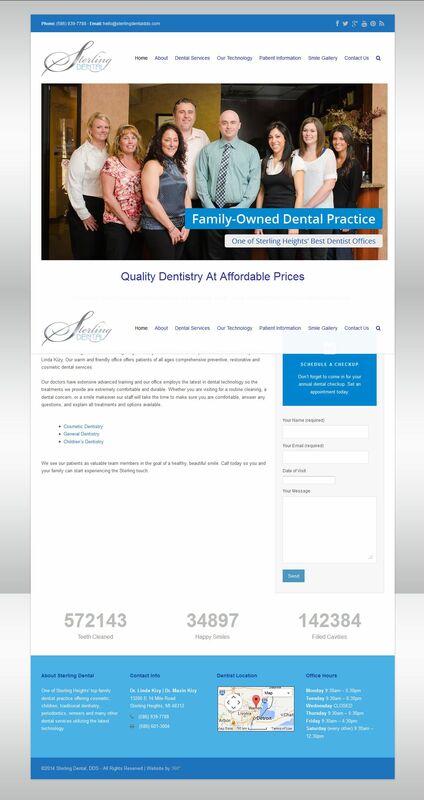 Slider with inviting photos advertising their most important services – click-able to take visitors directly to the page for that particular dental service. 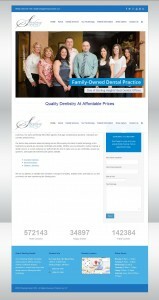 Email form on the homepage to make it easier for patients to book an appointment with a dentist or hygienist.